After you decided you want to start to incorporate in Japan, it is important to know the types of business structures and business operations and how to set one up. This is a critical part of any good business venture and can be equally as important as the idea of your company itself. We have created this guide to show you the differences and similarities between Japanese structures and operations and what that means for the type of company you can set up. This is also good for companies who are thinking about expanding into Japan. The main point of this page is to figure out what kind of structure to get and understand some basics of the incorporation process. When deciding on the entities to choose from, there is no objectively better or worse type. A Kabushiki Kaisha (KK) is the most popular type of corporation to choose in Japan. Referred as a “joint stock corporation” or “corporation”, choosing KK can be beneficial as it is well established and trusted in Japan. When doing business with locals or hiring new workers, this can work to your advantage because of KK’s reputation. Since a KK is a corporation, stocks are traded freely in the open market and money can be more easily raised. In return, when business is doing well in the company, investors will receive dividends. This can be especially helpful for medium to large sized companies who might want to expand. Under current Japanese law, you do not have to have a board of directors, but if you do, you are required to have 3 directors and an auditor is also required to report back to the shareholders about finances and operations within the company. The auditor by in large, someone outside the company. In the subject of taxation, KKs are doubled taxed just like many other countries with a similar structure type. This means that the corporation is taxed for its earnings, and again, after the dividends have been divided to the shareholders. Along with this double taxation, there is a mandatory annual shareholders’ meeting. Although, this is normal for most countries. When making decisions within the company, only a super majority of shareholders have to agree to the decision for it to be passed. A Godo Kaisha (GK) is a fairly new, less well-known form of company to set up. Referred as a Limited Liabilities Company, GK can be ideal for a smaller type of company for people who wants to keep things simpler and avoid the logistics of operating a company with lots of company compliances. Unlike the KK, GK companies cannot sell stocks and raise money in this way. Instead, the members of the GK usually invest their own money or property into the company. All members are must unanimously content to changes in the company, like transfer of ownership or changing the company from a GK to a KK, unless stated otherwise in the articles of incorporation. The Articles of incorporation is a legal document that establishes a corporation. It will have information like the name of the company, the location, the type of structure, etc. One of the biggest advantages of the GK is the flexibility. GKs are bounded by less restrictions like the KK. Unlike the KK, GKs are not required to set up a board of directors or have annual shareholder meetings. Important business decisions can be made informally if all members consent. Examples of major business decisions are selling large assets or winding the company. A manager can also be put in place to run the company which is similar to KK’s directors. In contrast to some other countries with a similar type of company set-up, GK is also subject to doubled taxation. A Yugen Sekinin Jigyo Kumiai is equivalent to a Limited Liabilities Partnership. This is a partnership between two people, and all agreements are made by the partners. LLP is not a corporation and unlike KK and GK, there is no double taxation. Partnerships are typically ideal for smaller business owners and typically owners are very directly involved with their business at all levels. There are three types of Operations in Japan. Here is some basic information regarding the structure of them. This type of operation is an extension of the parent company or is used in anticipation of setting up a more extensive company in Japan. Representative offices are not allowed to sell goods and raise money, rather, it is used to do research, marketing, collect other information and be used as a storage for the parent company. Instead of initially investing quite a bit of money into a foreign country right away, you can use this type of operations to test out how successful your operations might be in Japan. There is no initial setting up costs and no taxes involved, making this the cheapest type of operation. You have complete freedom to name the company. A personal bank account may be set up for this company. The second type of operation in Japan is a branch office. This is a good fit for businesses that would like to be involved in commercial activities and registration is required unlike a representative office. If you want to engage in selling of goods or other transactions in Japan, you need a representative, a branch office and a Japanese corporation or partnership of some kind. This company can be seen as an extension of the parent company. Tax is paid and all responsibilities in terms of debits and credits are the responsibility of the parent company. Decisions are also expected to be primarily made by the parent company. In this type of operation, you are able to open a bank account under the company’s name. In a subsidiary office, there is the least amount of restrictions regarding your company’s activities. There are several structure types to choose from when setting up this kind of operation, such as a Kabushiki Geisha or a Godo Gaisha. Unlike the branch office, the subdiariary office is seen as a separate corporation than the parent office. The corporation alone in Japan is responsible for the debits and credits. Similar to the branch office, taxes are paid, and you may set up a corporate bank account. The company can make its own decisions regarding the company itself. Since you have made the decision on what kind of company you want to choose. Here are the guidelines in how to incorporate your company. 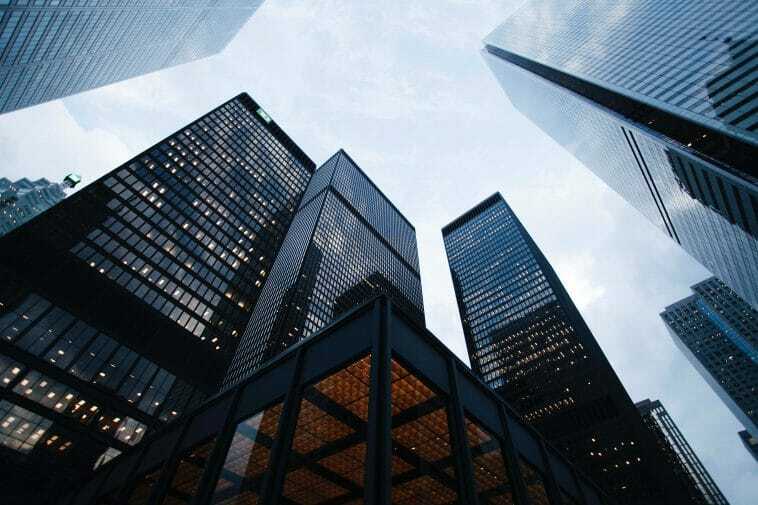 Some of the necessities you need incorporating your company for a kabushiki kaisha is the articles of incorporation for the company, a company seal, location of the office and of course the money for your corporation. You need a promotor who owns at least one share of the company to fill out the articles of incorporation and head down to a notary office to get it notarized. For more information, visit your local Legal Affairs Bureau. Prepare a bank account for your company. Transfer company funds here. (remember you will need to provide proof of this transfer later on) Print and fill out the documents you received from the Legal Affairs Bureau. Have a company seal. Prepare a bank account for the incorporation process. Transfer company funds here. (remember you will need to provide proof of this transfer later on) Print and fill out the documents you received from the Legal Affairs Bureau. After you have all the proper documents, you need to go back to the Legal Affairs Bureau and have them check your documents. You will need to buy a revenue stamp for your LLC application form. Submit everything. After, you will receive a company inkan registration application form, inkan registration certificate application form and incorporation certificate application form. There will be a date for you to come back to finish this process. Go to the tax department to collect the tax documents. The Japanese tax information These are usually long and complicated. Professionals can help make this process easier and help you when your tax problems! Japan is a great country for an investment of many different types of companies. The government has promoted this by lowering the once strict requirements needed in starting a company. Japan has many great established industries and even more to tap into. However, incorporating in any country including Japan can make this process challenging. At least, you only need to incorporate your company once. How long does the incorporation process take once I begin? Individuals who are looking to set up a business in Japan will need around 4 to 6 weeks, assuming there are no external factors that may change this. I do not know how to read or speak Japanese. How will this affect the incorporation process? If you do not know how to speak Japanese, it can still be done, but it is recommended that you go to a professional who specializes in the field. It could save you money in the long run, especially if you are not well informed with the long list of logistics involved with the Japanese incorporation process. Okay, so I know I want to set up a Kabushiki Kaisha. What kind of operation should I set up? For both Kabushiki Kaisha and Godo Kaisha, you should set up a subsidiary office. I thought for most corporations, a board of directors is required? Although people associate a board of directors with a corporation (Kabushiki Kaisha), under the most recent Japanese law, it is absolutely not require. It is best to consult a professional to see what is the right option for you. I am ready to incorporate but still do not have a location down yet... what do I do? If that is the case, you can put a home address as your office address to begin with and you may change it later. What is the best location to incorporate? That depends on what company you want to set up and what kind of market you want to tap into. Tokyo is Japan’s biggest population with lots of options for start-ups to happen. All bigger cities have the benefit of having a big market to market to and lots of English friendly resources.